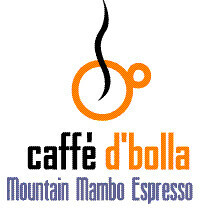 I am proud to announce caffe d’bolla has a new espresso blend. Mountain Mambo espresso is a 100% arabica blend of three different beans. It begins with a light Meyer lemon followed by a smooth nut and spice middle with a muted fruit and nut finish. To ensure quality we proudly offer whole bean only. This espresso will be available at our store as much as supplies/roasting permit.